TRI-POTS are the perfect choice to enhance any landscape or decorator design. 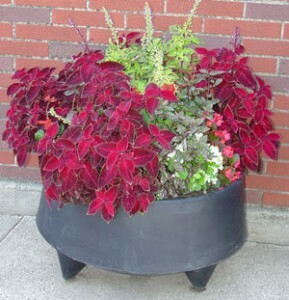 TRI-POTS were designed and developed to offer a lightweight, attractive, durable, and affordable alternative to heavy concrete or wood planters. TRI-POTS are constructed of heavy-duty polyethylene for extra strength, yet lightweight for easy handling and shipping. TRI-POTS are the fade-resistant indoor/outdoor planter for patios, terraces, entrances, all around the home, office, or commercial facilities. 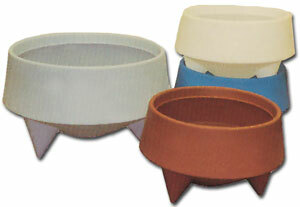 TRI-POTS can be special-ordered in custom colors. They easily stack inside each other for shipping and storage.